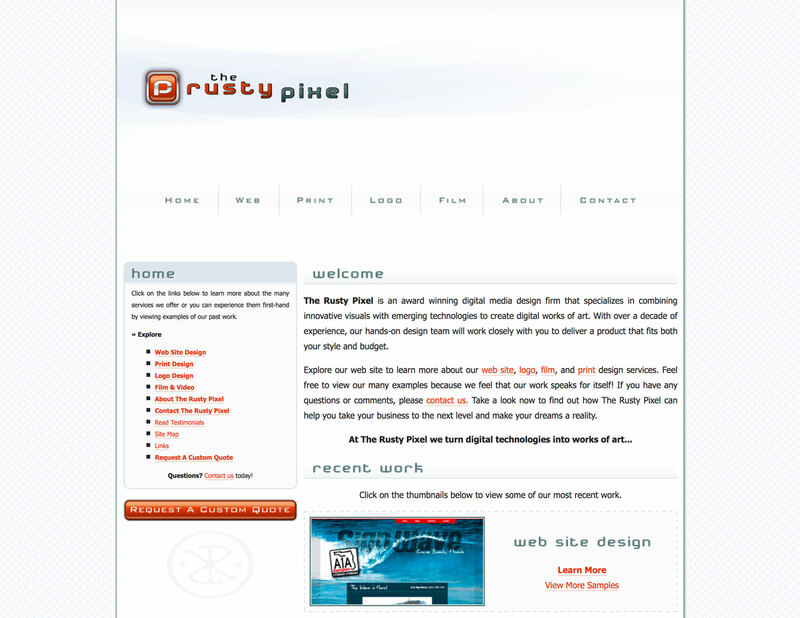 Today, September 16th, 2016 is the 10 year anniversary of The Rusty Pixel. 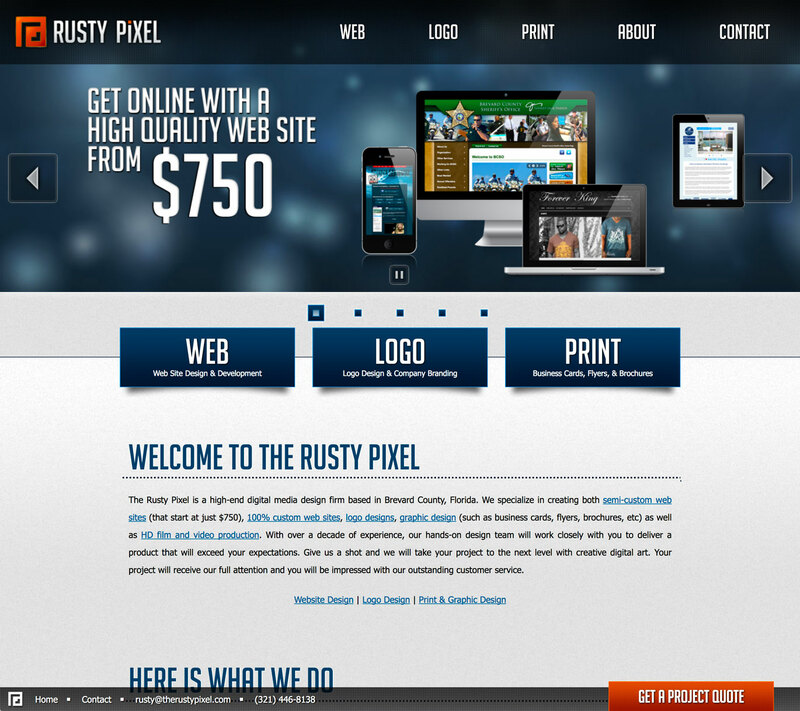 It was way back on this date in 2006 when owner and lead developer Rusty Rayner founded a high-end digital media company called The Rusty Pixel in Orlando, Florida. Soon afterwards we relocated our headquarters east to Brevard County, FL offering creative web design, logo design, print services, 3d and film production. We have since have dropped film and 3d production from our available services in order to focus on our primary passion of custom website design, logo branding, web hosting and graphic design. Over that time we have created hundreds of websites, logos and print designs for countless number of happy clients from all over Florida, the United States and even the world. 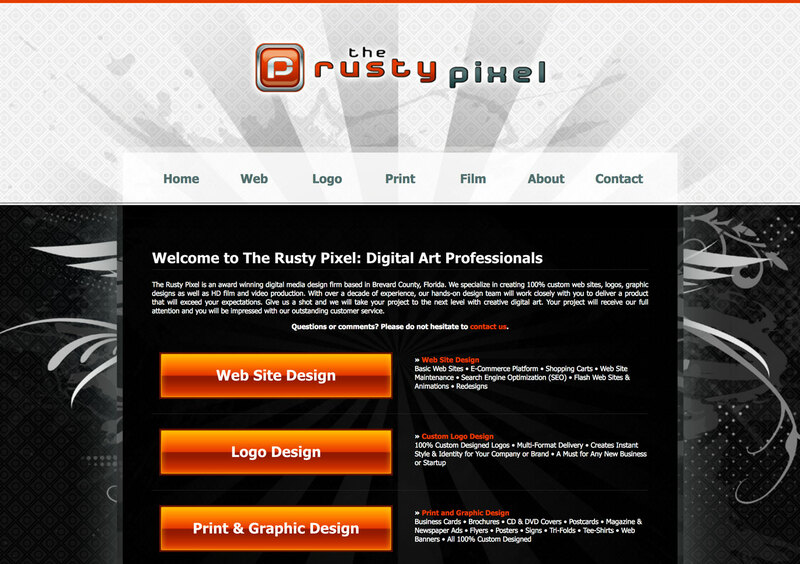 Along with the 3 logo redesigns The Rusty Pixel has also had 5 different website redesigns over that same period. We want to make sure that all our websites utilize only the latest in web technology and techniques… Oh and how things have changed! Just look at the original 2006 version of our website and compare with our newest website you see today. Even though it is less than 10 years old it still looks very dated. Note the Flash header and footer which because the iPhone was still a year or two away made Flash the clear option for exciting and mind-blowing web site designs. Also, don’t expect any websites from that time to be responsive either as it was years until first mobile-friendly web design came online. As for WordPress, in 2006 it had yet to took the Internet by storm and was still just a blog. 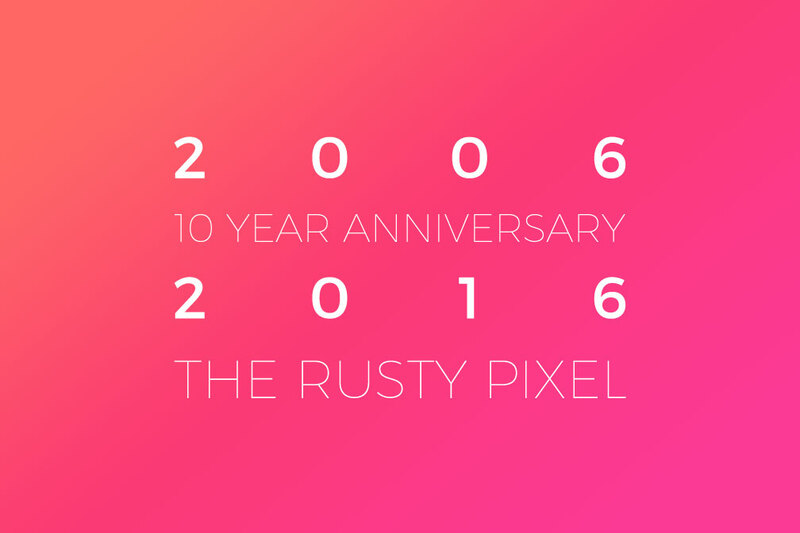 So what does the next 10 years have in store for The Rusty Pixel? Well we will have to wait until 2026 to find out exactly but our guess is many more web sites designed, logos created and print materials produced. As always we will strive for an equal number of happy and 100% satisfied clients! Thank you for an exciting 10 years and we are looking forward to the next 10. Don’t forget to contact us for all your digital media and web design Melbourne, FL needs.